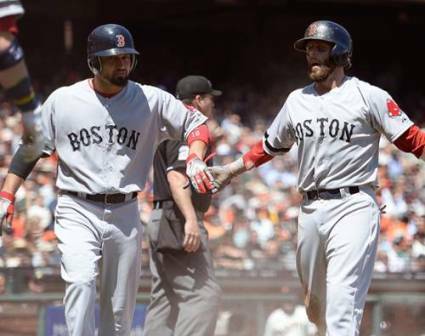 The Red Sox took two of three from the LA Dodgers last weekend, finishing a stretch of 16 of 19 games on the road with a record of 9-10. Boston began the stretch on August 5 with a half-game lead over Tampa Bay and finished its trip on the West Coast up one full game over the Rays. 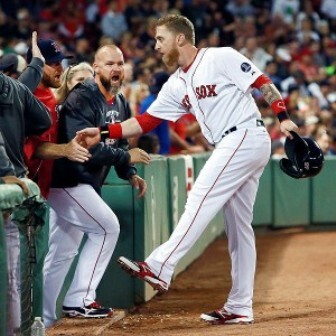 The lead has since expanded to two and a half games as Boston’s winning four of its last five games coincided with the Devil Rays losing four of their last five. Shane Victorino paced the Red Sox with a gigantic offensive week that included a two-homer, seven-RBI performance on Tuesday night. GIFs of the HRs here, courtesy of Over the Monster. Coincidentally, some time late Tuesday night and also well into Wednesday morning, a bunch of fellows in the baseball media came to the conclusion that Shane’s been a pretty good signing for the team. (For example: here, here, here, here and here). His 3 HRs, 9 RBIs and 7 runs since Monday probably make him a favorite for AL Player of the Week honors. Is This The End of Jerry Remy’s Television Career? 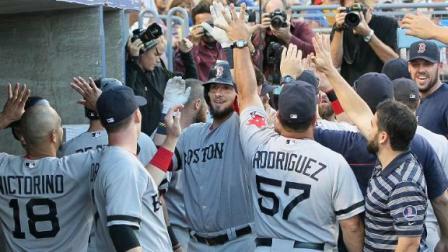 In a statement on Thursday night, Jerry Remy said he will sit out the remainder of the 2013 season. It isn’t fair to speculate too deeply about his future in the NESN booth, but Remy’s statement included reference to returning next season. Sadly, though, his days logging full seasons as Red Sox color commentator may be over. Meanwhile, NESN has quite a bit more than the requisite “two weeks’ notice” to find an adequate replacement not named Dennis Eckersley. Hopefully, it does the right thing. Back in February, Jarrod Saltalamacchia was receiving a lot more than just pitches on some backfield of the Fort Myers spring training facility. He was also receiving* praise from club officials and coaches, who anointed him as their No. 1 guy. Salty was, literally, sipping champagne and enjoying the thought of the prospective limelight. 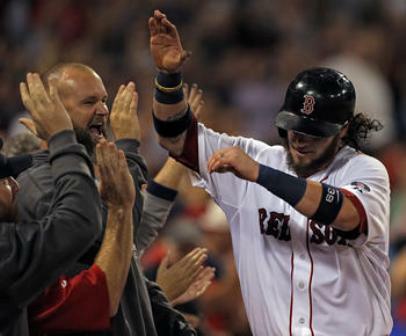 *’Receiving,’ in this particular instance, is synonymous with ‘catching.’ Jarrod Saltalamacchia is a catcher for the Boston Red Sox. But, then April rolled around, and that same limelight that came along with all that once-welcomed attention began burning Jarrod’s retinas. They destroyed him like a poorly positioned light tower shining in his eyes while he attempted to throw out base-runners swiping second. 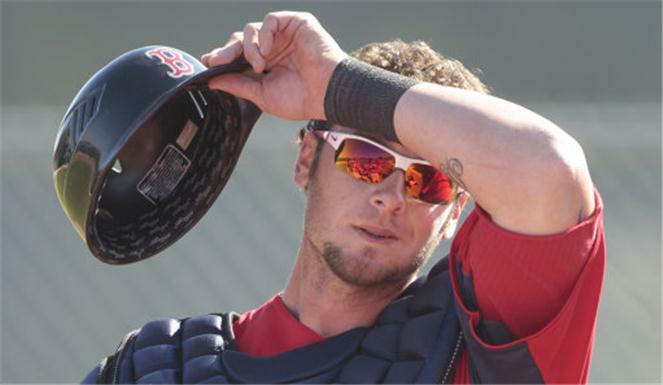 While no one expected the process of becoming an everyday catcher to be without complication, the 26-year-old Saltalamacchia is off to a bad start of epic proportion—even by Boston Red Sox standards. Suddenly, people are avoiding Jarrod like he is an adulterer living in Puritan New England. His teammates have distanced themselves from him, manager Terry Francona is no longer writing him into the lineup as frequently and, perhaps worst of all, women refuse to talk to him in social situations—even when he uses fellow teammates as wingmen. 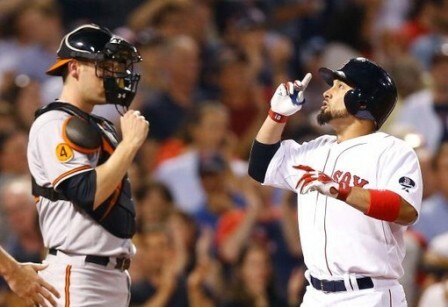 To put it plainly and simply, Saltalamacchia commands zero respect. The results have not been pretty. A backup catcher at the beginning of the season, Jason Varitek could soon surpass Salty in plate appearances as their roles have seemingly been reversed. To his credit, V-Tek has fulfilled his part as team captain admirably by supporting Salty in the media, working with him on improving his confidence and providing him with helpful hints on how to score ready and willing women. “Unfortunately, Jarrod already fumbled away his chance at Heidi Watney well before Jason could offer him any, um, ‘insider’ advice,” laments one club source. 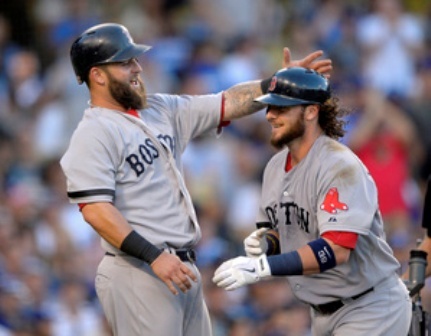 And, so, Jarrod Saltalamacchia continues his embarrassing tailspin. Another clubhouse insider relates similarly emotional scenes. And incredibly embarrassing for Saltalamacchia, who was later seen trying to conceal a good deal of weeping while at his locker. Nobody wants to hazard a guess as to where Salty goes from here. While some may be quick to point out that Varitek’s production (.128 AVG / .227 OBP / .154 SLG) at the plate is even more anemic than Salty’s (.207/.258/.276), club officials believe the captain is simply trying to minimize the pressure on the “starter” by declining to overshadow him.